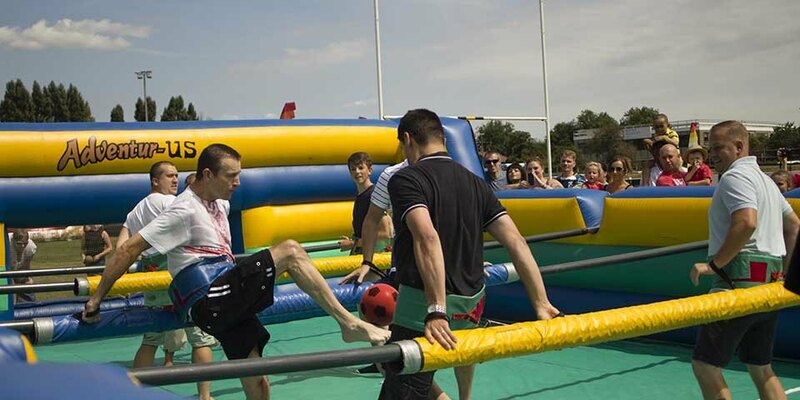 HSS hire approached MGN events, to create, design and event manage their ‘Big Sunday’ event for more than 300 of its staff and their families. The Big Sunday event is a chance for HSS to give back to their people for their continued hard work, a vital ingredient to keeping a work force motivated and happy. 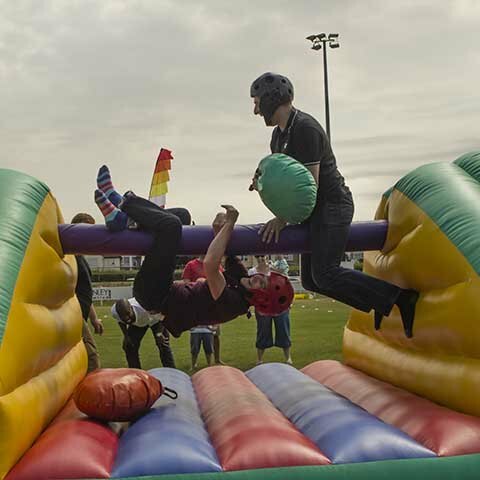 We then got to work designing a family fun day that was bursting with fun entertainment activities for the entire family, including “It’s a knockout” style inflatables, bungee run, gladiator duel, and obstacle courses! 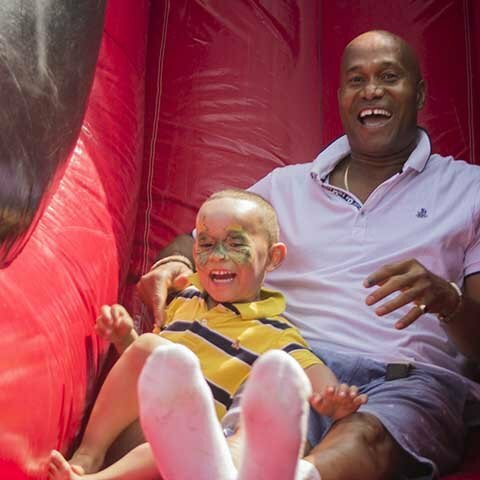 We also provided the traditional family fun day favourites, such as a coconut shy, face painter, ice cream van and also created a chill out section which had picnic rugs, bean bags and deck chairs for families to comfortably relax and enjoy the afternoon entertainment! The venue provided a delicious BBQ and complimentary bar, and they even provided the sunshine!